Find a tennis partner at your skill level! Play on local tennis courts. 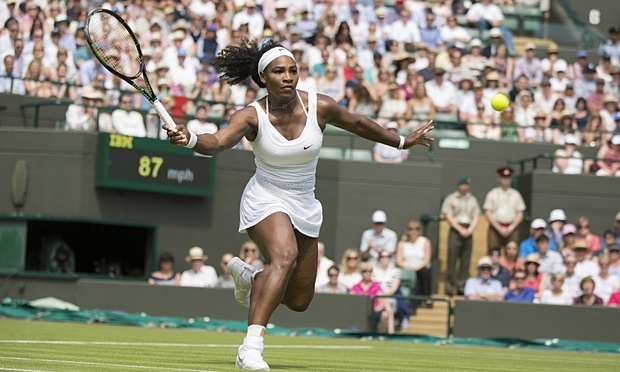 LONDON – Top seed Serena Williams completed her impeccable first-round record and took another step towards the Grand Slam with a convincing triumph at Wimbledon having a 6-4, 6-1 scores against the world number 113 Russian qualifier Margarita Gasparyan. The first round was not stress-free as Gasparyan broke serve in the opening game and led with 3-1 scores. While crowd’s favorite 33 year old Serena Williams finally discovered Margarita’s rhythm she did not give Gasparyan another chance. “I knew she would be a good player – I can’t say I thought she’d be that good, to be honest,” Williams said. “Obviously when you’re winning three matches in qualifying you’re ready to go the distance, and playing me she had nothing to lose. She played really good. Serena Williams also thought that she is losing again as Margarita came out so fast but Williams did not let it to happen. This is Serena Williams’ 17th first-round singles win at Wimbledon, with her no losses record at this stage. Serena is now eyeing on winning all four majors Grand Slam in the same year. She already got the US Open, the Australian Open and French Open. The big question today is will she be getting the Wimbledon victory? The match lasted for two hours and forty-five minutes with an overall of 15 breaks of serve. Ferrer thought it was his day but nah~ Murray didn’t let it to happen! Second set came but Ferrer had a hard time to play well simultaneously as everybody believes that he also needs to present extra constructive shots if he really wants to be the victor. 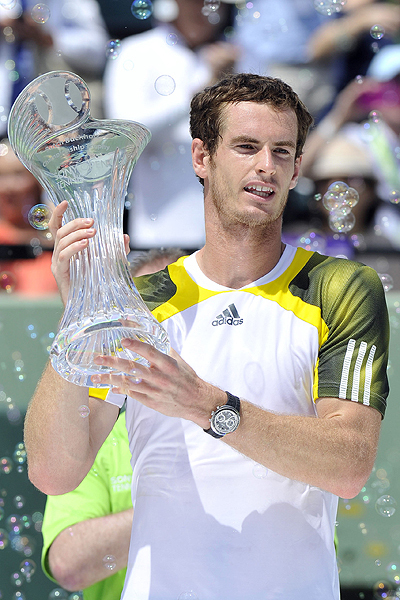 In contrast, the humble Murray quoted “If I’d served better I could have made it easier and that’s something I need to do better in the clay court season,” Just so you know Murray is the seventh competitor who won numerous titles in Miami and still pushy to be the most excellent player. Will he be in rank 1 next time? What can you say about this? Both drained and in fierce conditions during the last set, they still gave what the audience wanted. You may say, it will not be effortless for Murray to win if Federer and Nadal did not pass over the tournament hence I am sure fans of the two marvelous players are all happy win or lose. Using advantage set rules in the final set, French player Nicolas Mahut and John Isner of US played a record-breaking long match in the history of professional tennis during tournament in the 2010 Wimbledon. Having been played over three days on June 22, 23 and 24 of 2010, the match suddenly became the talk of town among the Wimbledon crowd and tennis enthusiasts. The tournament that lasted for eleven hours and five minutes came to an end when Mahut moved toward the net and Isner hit a passing shot. With spectators and fans around, there were 980 overall points and 183 total games. Isner won the final set at with 70-68 games in the fifth set. The match, which became historical, started on Tuesday night and stretched over three days. It was suspended due to fading light during the first and second day of play. It was described as the endless match for the flabbergasted crowd. Giving a standing ovation for the two players, the fans were all happy to be part of this strikingly awesome match. Hardly believing the match had ended, Isner was overwhelmed, almost collapsing on the tennis lawn before rising up again. He hurriedly acknowledged Mahut’s effort when he came toward him and the players enfolded over the net. Almost teary-eyed Mahut praised Isner and expressed his gratitude to all spectators and organizers, who patiently waited for the match to come to an end. During one of the interview after the match, Isner said he didn’t think it was really possible to have a match that lasted for that long and even thought it was a dream. With this record-smashing longest match, Federer defined it as an absolutely amazing match. 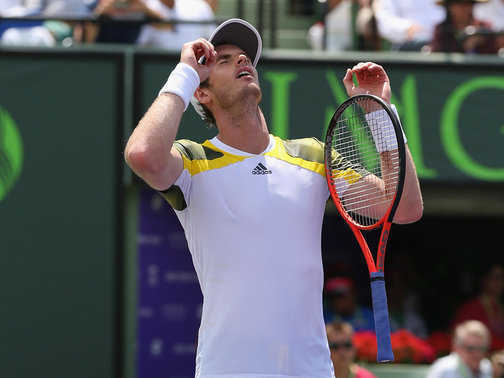 Even Andy Murray got surprised by the fight and how the two players made it that way.